Did you know as long as you have an Android device, whether it’s a smartphone or tablet, you have access to just about every Game Boy Advance game ever made? Best of all, you can get these games for free, just by downloading an emulator from the Google Play Store. 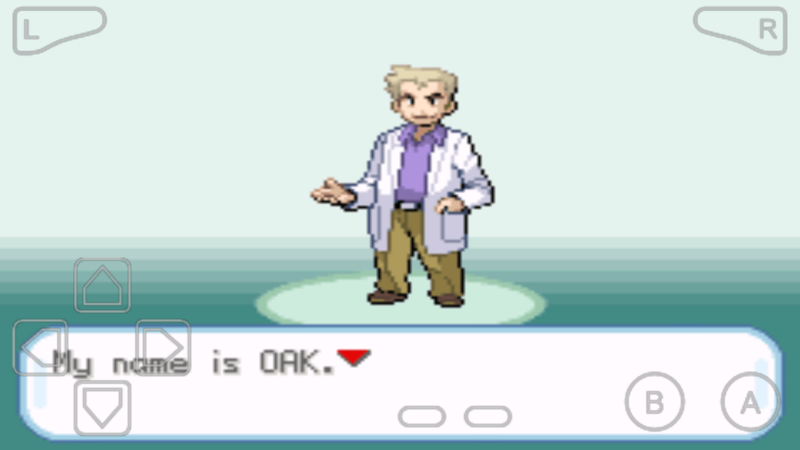 It’s really easy to set up, and if you aren’t sure how to go about doing it, just follow this simple guide and you’ll be playing your favorite GBA titles on your Android device in no time. This is the easiest part, simply go to the Play Store like you would if you wanted to download any application, then search for My Boy! Free. Download the app with a blue background and a white GBA icon, it’s completely free, but there is also a paid version available that has a few more features (like the ability to save state at any point in the game). There’s a few other emulator options: John GBA Lite, Retro Game Boy and Advance, and Gameboy Color A.D. just to name a few. John GBA Lite is definitely a solid choice as is My Boy!, Retro Game Boy and Advance offers not only GBA games but original Gameboy games as well. Gameboy Color A.D. is only compatible with Gameboy Color games, which won’t help you with GBA titles, but I figured I’d mention it if anyone is interested. So you’ve picked out an emulator, now it’s time to download the games so you can load them into the emulator and play! My personal favorite site to get ROMs from, is Cool Rom, they’ve been around for a very long time and have always had the best selection of games for tons of different platforms — GBA included. 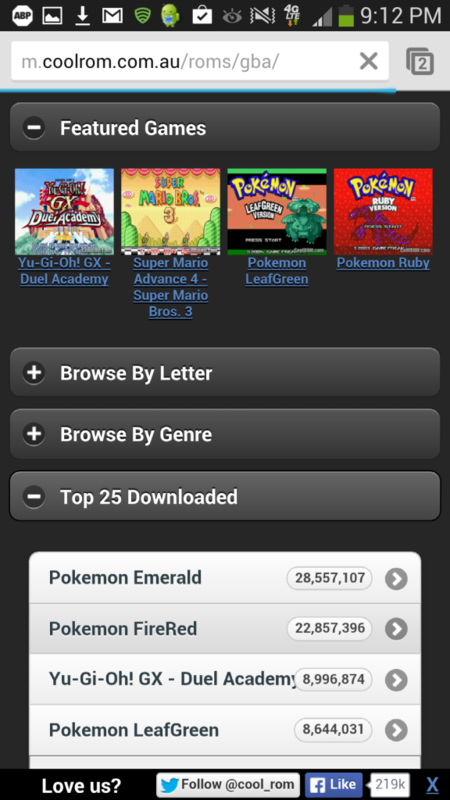 In your phone browser, go to m.coolrom.com.au/roms/gba and you’ll be able to search for games by letter, genre, popularity, and rating. Once you’ve narrowed down the search category, just tap the game you’d like to play, scroll down and tap “Download Now”. (Note: Make sure you don’t click the “Download” link above it, it’s spam, check the image below to make sure you’re tapping the right link. By default, your downloads should just go to your “Download” folder, but if you happened to have changed this it won’t be different. Now, go to your apps and load up My Boy! or whichever emulator you decided to download. If you’re using My Boy! it will automatically pull up the root directory of your device, and from there you should be able to just tap “Download”, or navigate to wherever your default download directory is set. Once you’re in the folder, find the game you downloaded, tap it, and it should automatically load into the emulator. After you’ve downloaded a game, it will remain in that folder until you move or delete it, so you can easily build a large game collection. As stated above, you can’t do a save state at any point in the game unless you get the full version of My Boy!, but using in-game save features will work just fine. The saves will be saved to the ROM, so make sure you don’t delete the ROM without backing it up so you don’t lose your save data. You can hold your phone either way, if you hold it on it’s side the game screen will stretch bigger and the controls will be on-screen, if you hold it upright the controls will be off of the game screen but the window will be much smaller. Ultimately it’s up to you which way you prefer, there are also settings that can be accessed by tapping the menu button on your phone, from there you can stretch the game screen to fill out your phone window when it is on it’s side. There’s other options for input devices and key mapping, as well as custom layouts. Feel free to mess around with these features, there’s nothing that will impact your game-play too much, unless you start getting into the cheats (you can’t fully utilize cheats with the free version). 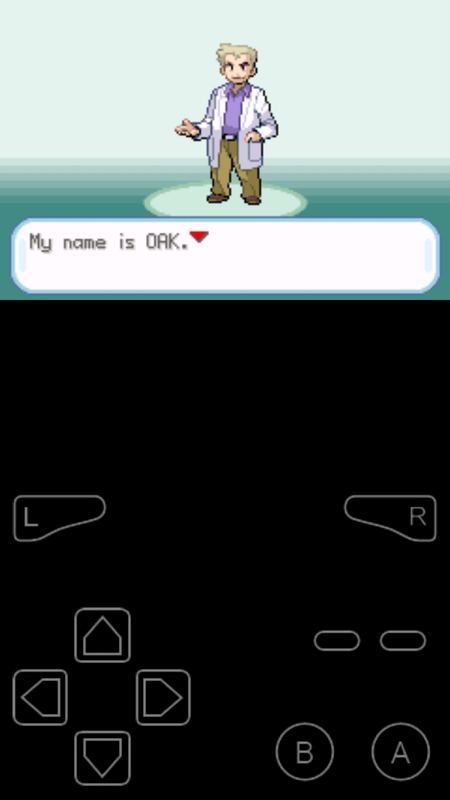 Post any questions or comments you have about playing GBA games on Android devices below!